Around the turn of the century, the Salvation Army founded three intentional communities in Colorado, Ohio, and California in an effort to relieve urban poverty that followed in the wake of rapid industrialization. Conceived by founder William Booth, the project was organized by his son-in-law Frederick Booth-Tucker, commander of the Salvation Army in the United States. 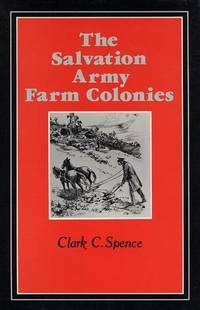 Clark Spence’s account of this back-to-the-land experiment is at once agricultural, social, religious, and even political history enacted on both sides of the Atlantic: in the irrigated beet and alfalfa fields where small farmers fought hoppers, drought, or saline soil in an effort to wrest a living from their twenty acres; at the fund-raising meetings where the Booth-Tuckers garnered both applause and dollars from business leaders; and in the halls of Congress and Parliament where Army supporters argued in vain for government subsidies.